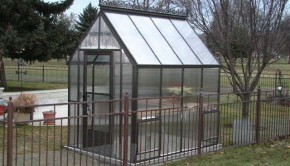 Deciding which materials are the most beneficial for your greenhouse floor may be tricky because there are so many options to consider. Gravel, cement, wood, brick and flagstones are some of the choices available. Organic substances such as sawdust, wood chips and pine needles are an alternative option however they have a tendency to decompose over time, needing to be replaced. 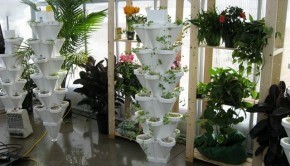 In the long run, organic materials can be more costly for that reason. Choosing a concrete or wooden floor will require the installation of an efficient drainage system (concave floor) to avoid the build up of mold and mildew which can be detrimental to the plants in the greenhouse. 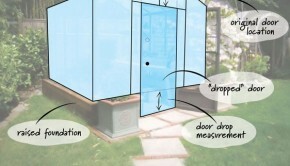 Depending on the region where you live and the weather conditions that apply, you want the floor to be able to retain as much heat well into the night so that it absorbs during the day in the greenhouse. If you choose a concrete floor, painting it black will do the trick. 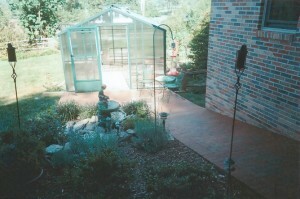 Brick and flagstone are the best options for heat retention. Safety and comfort are conditions that should be considered when choosing floor material. When it comes to safety, a floor needs traction. When using concrete, pick a textured surface as opposed to a smooth one. Consider what it will feel like to stand and work for hours on the floor and consider the alternatives. Sometimes a combination of organic materials combined with concrete is a compromise with the vast choices available. 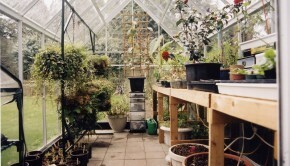 Concrete, stone or brick is used for pathways while weed barriers, a rot proof fabric allowing drainage and minimising weed growth, cover the floor of the remainder of the greenhouse. 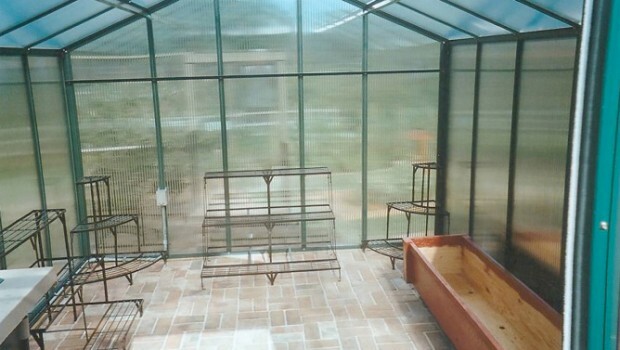 Although choosing the kind of floor you prefer for your greenhouse is individual, gardening surveys show that the higher percentage of horticulturists prefers a concrete floor because it is easier to keep clean, drainage is superior and weeds cannot infest the ground area. It retains heat for the winter and cools the area down in the summer.